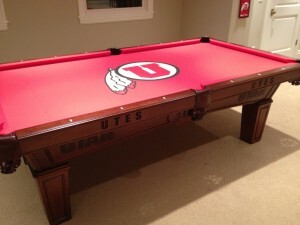 Looking for the best pool table moving Murray Utah has to offer? Advanced Billiard Services will gladly pick up your pool table and transport it to any location in a timely & affordable manner. They go the extra mile to ensure all pieces arrive in the same condition they left in. Upon arrival, Advance Billiard Services will reconstruct your pool table to tournament standards. Don’t leave your pool table behind just because you don’t want to move it yourself. Contact Advanced Billiard Services at 801-712-0502 for the best pool table moving Murray Utah has to offer.